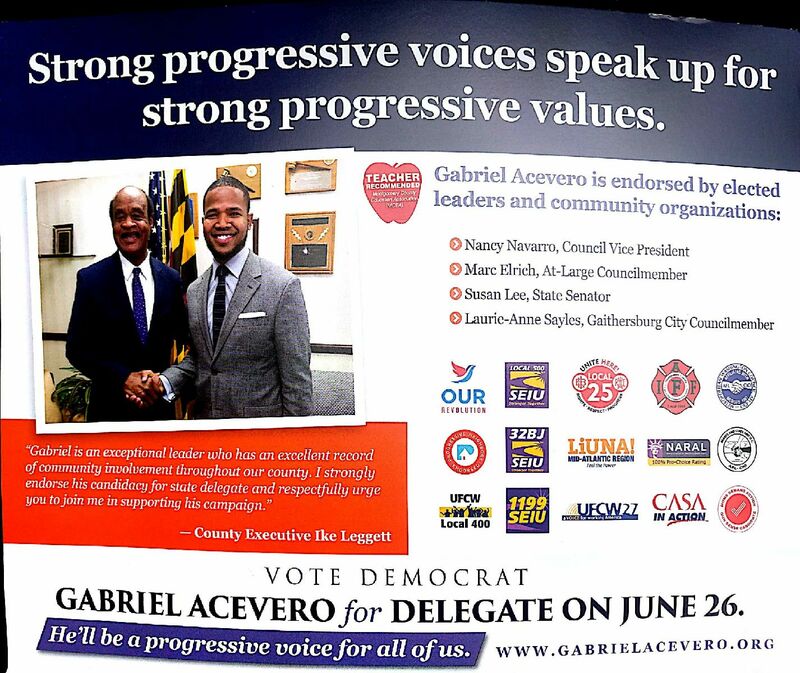 District 39 House candidate Gabe Acevero sent out a mailer claiming an endorsement from a prominent MoCo organization yesterday. The problem is that the group never endorsed him. Below is the mailer sent by Acevero. Note the logo in the top row, second from right. It belongs to International Fire Fighters Local 1664, which represents career fire fighters employed by the Montgomery County Government. Acevero also claims the fire fighters’ support on his website. Their logo appears in the second row, second from right. In fact, the fire fighters’ endorsements in District 39 include Senator Nancy King, Delegates Kirill Reznik and Shane Robinson and new House candidate Lesley Lopez, who is running with the incumbents. 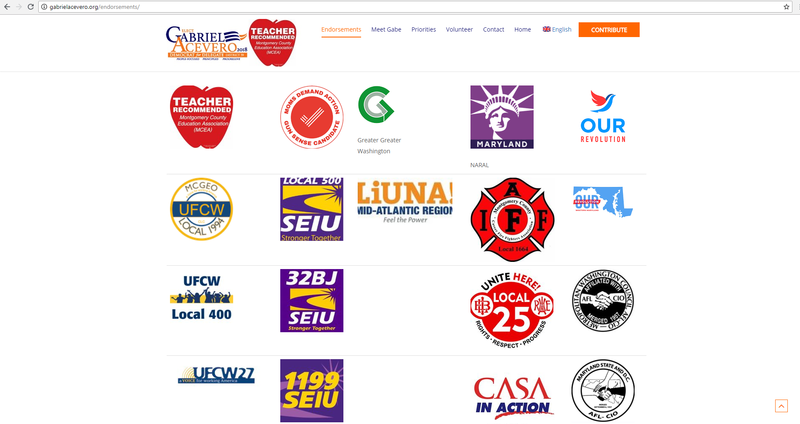 The union notified us of these endorsements via email on June 13. Their list of General Assembly endorsements appears on their website. IAFF Local 1664 President Jeffrey Buddle sent us the following official statement upon learning about Acevero’s claim. The union repeated the statement on Facebook. 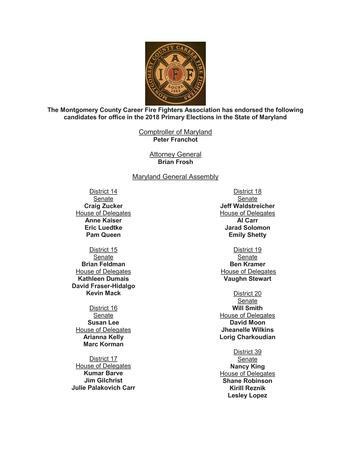 The Montgomery County Career Fire Fighters Association -IAFF Local 1664 conducted a vetting process of candidates for the Maryland General Assembly. 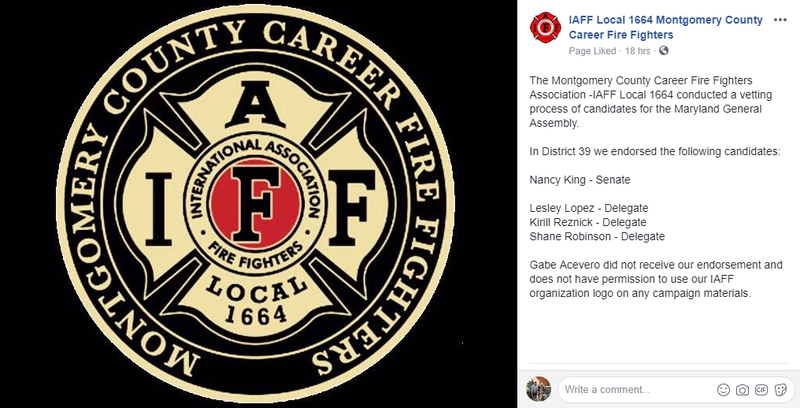 Gabe Acevero did not receive our endorsement and does not have permission to use our IAFF organization logo on any campaign materials. We asked Acevero for an explanation of this yesterday. As of this writing, he has not responded. If he does respond, we will update this post.